As most people would have gathered by now, we at Cleaners Liverpool aim to maintain and provide various types of services to our private and business customers, covering a large spectrum of needs and requirements. 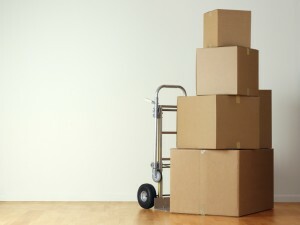 So it is only natural for domestic and commercial property removals to also be part of our service list. We have the licensing, expertise and manpower to organise and deal effectively with various types of property removal and item delivery services with professional pace, precision and efficiency. Pickup and delivery of internet order items, large store purchases etc. We also perform certain additional services as standalone, or as part of every removal project we undertake. Some of them are rubbish removal, full property clearances, specialised packing, various property cleaning treatments etc. Property removals and item delivery services are quite specific procedures and require proper training, sufficient technical capacity and enough manpower for the job. We believe to have all these covered thus providing private and business customers with efficient, affordable and reliable removal and delivery services. All aspects of every removal/delivery job are carried out by teams of qualified and experienced drivers and porters who have the practical skills and expertise to ensure safe handling and no-damage transit of goods from A to B. We maintain and operate a fleet of cargo vehicles of the appropriate size and load capacity. Our vans are clean, well maintained and travel fully equipped with the necessary tools and supplies for the job. Vehicles are tracked in real time using GPS. When dealing with complex or large scale projects, we may recommend conducting a preliminary job viewing in order to structure and carry out the actual removal/delivery in the most efficient and suitable way. Viewings are also onsite quotations and help us form of accurate price estimate which is very important in large removals. Our removal technicians can visit the property in advance and perform any preliminary tasks like sorting, packing and securing of certain items, disassembly of certain furniture pieces or any other duties which will make removal day more manageable for everyone. Should there be any additional requirements or specifics to do with the removal, please inform our consultants in advance and we will be sure to address and deal with those accordingly. We maintain good service availability, removal jobs can be booked for any day of the week, under flexible hours. This also includes Sundays and public holidays. For more information on any of our removal and delivery services, pricing and additional options, please contact us and speak to our customers consultants.